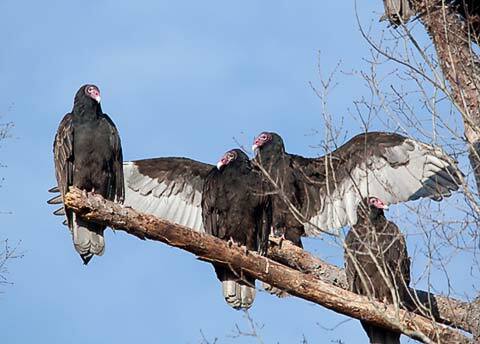 We have always had a few Turkey Vultures circling around the neighborhood. But for the past few weeks (late December 2009 and early January 2010), we have been hosting a convention. 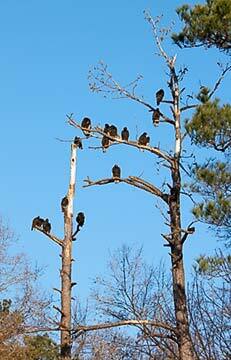 We've seen well over 30 birds roosting in trees. Some of our neighbors have seem over 50 birds. 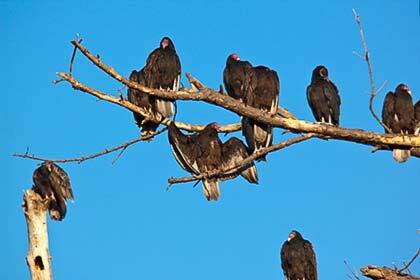 We've never had this many vultures in the area before. I have no idea what is drawing them to our neighborhood in North Durham, NC. It certainly can't be the weather (lows in the teens and highs in the 30s). And I haven't seen a lot of dead animals laying around. 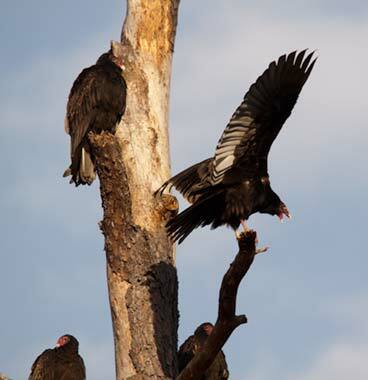 They spend most of the early morning in the dead tree. 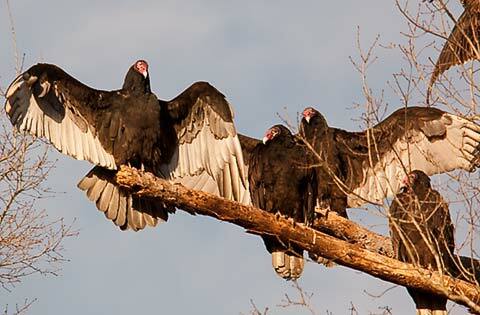 A few of the more active birds spread their wings to take advantage of the early morning sun. But most are content to just sit there. 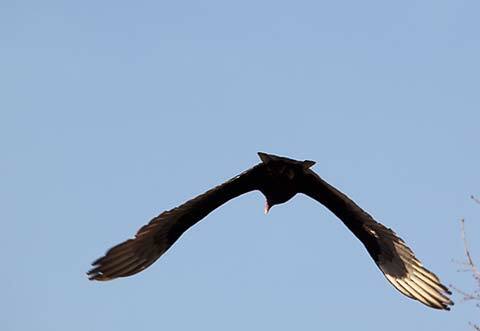 Occasionally someone will take off in search of breakfast.